Those days spent making drinks with mum, Elizabeth, are times that have always stuck in Raphael’s mind. 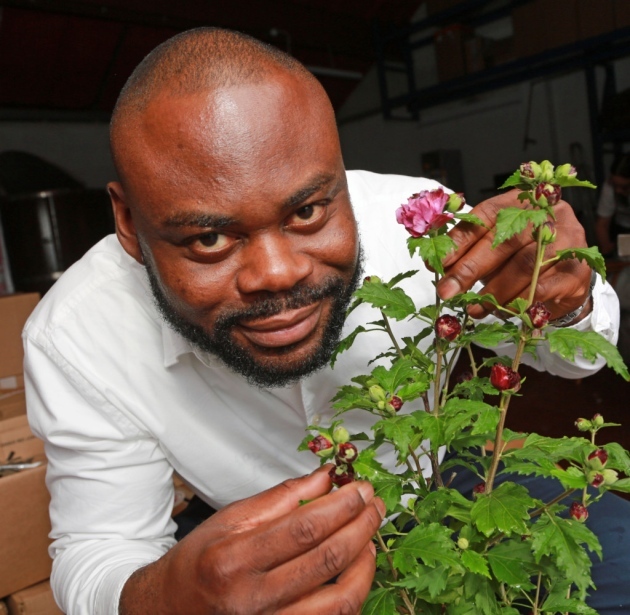 But it wasn’t until he moved from Nigeria to Manchester to study food quality management at Salford University that he struck on the idea of turning those treasured memories into a career. Drink production started in Raphael’s kitchen in Manchester, brewing the hibiscus on the stove and peeling mountains of ginger by hand. He moved production to the NOW Food Centre at The University of Chester to seek the support of business advisors who could help him launch Calyx Drinks. But he was keen to move to Lancashire and initially set up in Preston. Today, to keep up with demand, Raphael runs his own small factory in Burnley. He is creating those same drinks he grew up on as well using dried flowers, blending them with other fruits and spices to create Wild, Shine and Blush. The drinks are rich in antioxidants, vitamins A, B and C along with phytonutrients – natural chemicals that help prevent disease and keep your body working properly. They can be enjoyed cold, hot or as a mixer with alcohol. Calyx, named after parts of a flower, has been built on Raphael’s hard work and determination to succeed as well as the faith of close friends including his parish priest, Reverend Andrew Wickens, who also recently became a shareholder of the company along with another backer Michael Bass. And Raphael is proving he is a good investment because as well as supplying top delis, farm shops, restaurants and cafes, he will soon start distributing to the Middle East. His drinks will also be put into drinks dispensers in gyms around the country. ‘It’s been hard work,’ said Raphael. ‘When I first started making by hand I used to spend hours peeling ginger. Everyone thought I spent lots of time in the gym but it was all from making the drinks. The talented drinks producer is also about to upscale production and he has installed new brewing and fermentation tanks in his Burnley unit. 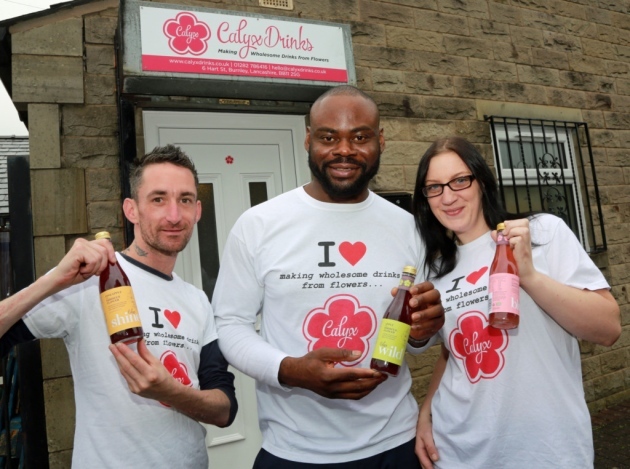 Calyx’s Lancashire base is something that is important to him. As well as working with gin distillers Batch Brew, also based in the town, to do a drinks collaboration, he also has ambitions to create a blend using the Lancashire rose. ‘It is important to have that strong connection with the county,’ said Raphael. 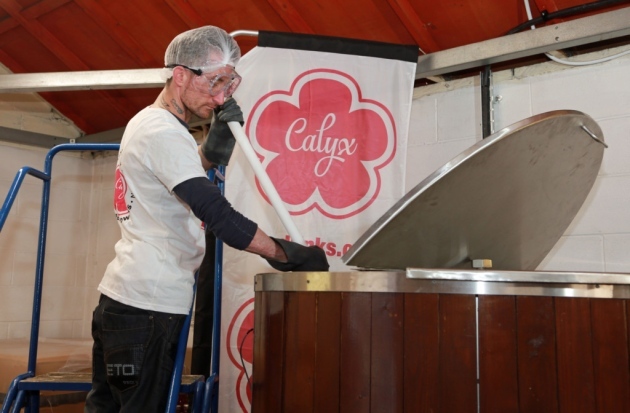 ‘I want to be able to shout about the fact that Calyx is from Lancashire. When someone buys a Calyx product in Dubai, they need to know they are made in here. Raphael’s story is just one of the many that Marketing Lancashire aims to celebrate on the back of their successful Taste Lancashire campaign to promote food and drink from the county to a wider audience. The campaign, which also aims to boost tourism to the area, has already enjoyed huge success with Lancashire food debates, a Lancashire Day lunch held in Covent Garden, a Lancashire cookbook that outsold Nigella Lawson, Yotam Ottolenghi and Jamie Oliver in Booths and regional branches of Waterstones and a popular food and drink conference held at Holmes Mill in Clitheroe.